Sunday, a day made for bunching! Today’s spot was our local, Leo’s Beanery. Leo’s is a great little family run cafe at the bottom of Howe Street in Edinburgh’s New Town. Having tried many of their lunchtime salads and sandwiches (the hot smoked salmon sandwhich with beetroot, lemon and dill is a favourite) it was time to try out the brunch menu. 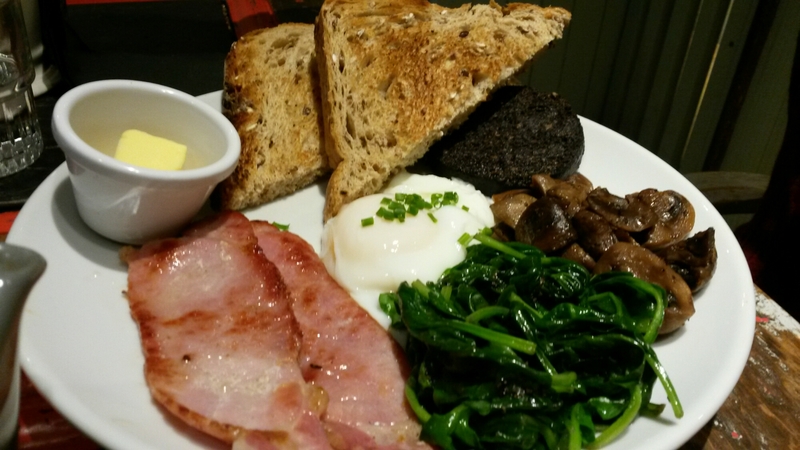 Served until 1.30pm on a Saturday & Sunday, you’ll find all the usual options on the brunch menu. 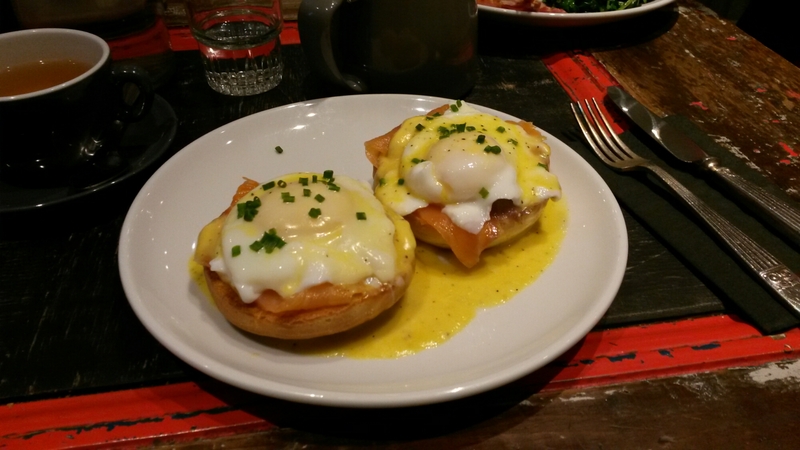 Mr. F&P opted for Leo’s Special Breakfast and I settled on the Eggs Florentine. A cup of Earl Grey, a blood orange San Pelligrino and a double espresso completed our brunch table. 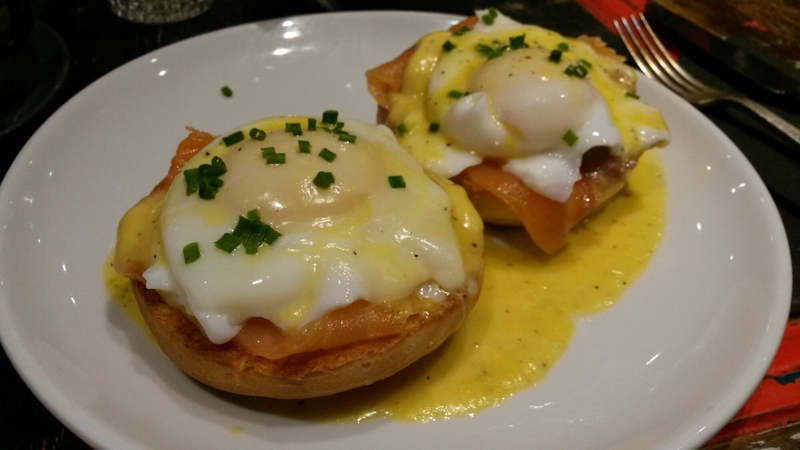 The eggs were very runny, ok for me as that’s exactly how I like them, and the hollandaise sauce was delicious. I noticed a table next to us ordered a little extra jug, wise idea! 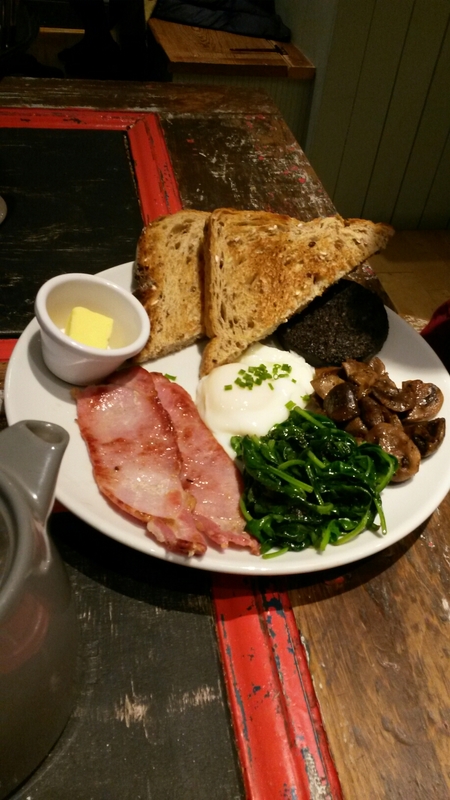 Leo’s Special Breakfast was a fresh, and not at all greasy, fry up with bacon, eggs, black pudding, fried herb mushrooms and artisan bread. They use Bowers Butchers in Stockbridge for the bacon, and the wholemeal bread is all baked in house. 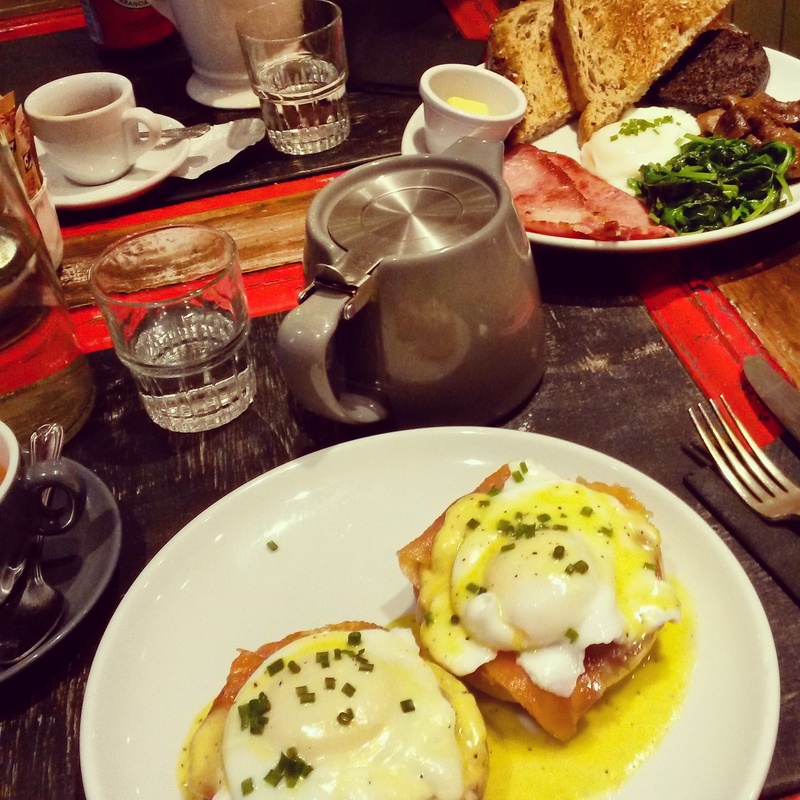 A fab little spot to have on our doorstep, and a new Sunday brunch favourite, make sure you visit soon.